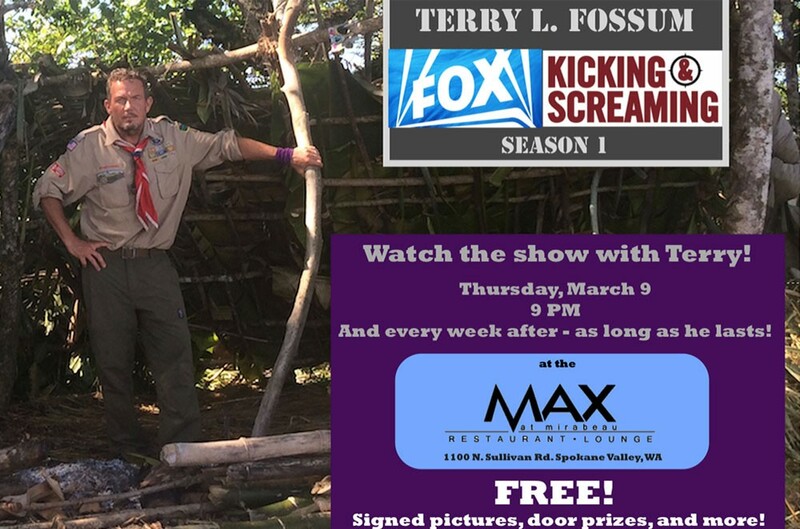 Terry Fossum will be appearing at viewing parties of the Fox survival show Kicking and Screaming as long as he, you know, survives. It’s not common that 52-year-old retirees replace their empty nesting with survival competitions on Fijian tropical islands, but that’s where Terry Fossum found himself in May last year. The former Scoutmaster for Spokane Valley’s Troop 400 is one of the expert survivalists on Fox’s reality show Kicking and Screaming. Produced by the people behind Wipeout and Fear Factor, the program pairs outdoor specialists with complete novices in a competition for $500,000. Fossum competed against survivalists ranging from snipers, seers, primitive living backcountry guides — even a ninja. But the training from his years as a scout held up throughout his time competing. Fossum made multiple excursions to prepare for the show. He flew to Rupununi in Guyana to gain jungle experience from local experts. He went to Park City to work on his bow and drill fire-starting. He spent time in Houston learning from a recluse that previously lived on an island alone. Fossum will be attending viewing parties for “Kicking and Screaming” as long as he remains on the show. The free events are on Thursdays at 8 pm at the Max restaurant in the Mirabeau Park Hotel in Spokane Valley. The first viewing party is tonight. The survivalist hopes to continue his engagement with the community well past the runtime of the show.